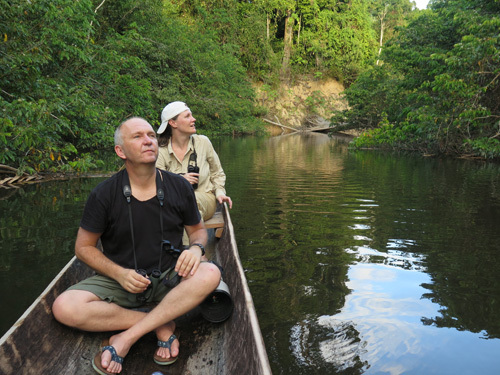 Fiona Reid and I are organising a 2 week trip into the Brazilian Amazon in June this year. The trip was sold out but a cancellation means there is now a one space open on this trip. This is going to be a small,very mammal-focussed, group searching for a set of species that is both long and mouthwatering judging by what Fiona found last year. This list is what they found in 2016 and includes some real gems like Gold and White Marmosets and Pied Tamarins, four species of Saki Monkey, a bunch of great bats including Northern Ghost Bat and White-winged Vampire Bat, Bamboo Rats and much more. I hope we can do even better this year with the greater focus on mammals. More details are here. Get in touch if you are interested.